During yesterday’s press conference, the Mohamad brothers said their lawyer would answer the charges against them in court. 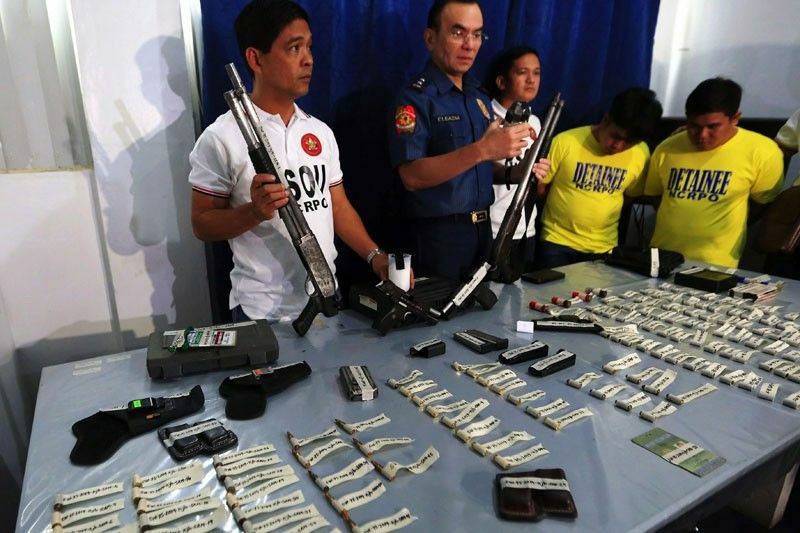 They were charged with illegal possession of firearms and explosives and violating the election-related gun ban. In San Juan, alleged pusher Rosalie Milliken, 36, was arrested in a sting on Monday. Her alleged couriers Jose Victor Rigor, 62; Avelino de Guzman, 44; and Arnold Guco, 41, were arrested in separate operations on the same day. Police seized a total of 70 grams of methamphetamine hydrochloride or shabu, with a street value of P476,000, from the suspects. Police also arrested nine persons in Marikina and six others in northern Metro Manila for drug-related offenses.